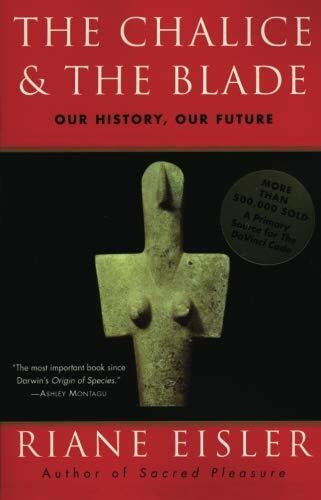 The phenomenal bestseller, with more than 500,000 copies sold worldwide, now with a new epilogue from the author-The Chalice and the Blade has inspired a generation of women and men to envision a truly egalitarian society by exploring the legacy of the peaceful, goddess-worshipping cultures from our prehistoric past. About: The legacy ofthe sacred feminineThe Chalice and the Blade tells a new story of our cultural origins. from New World Library (July 1, 1997); titled "The Chalice & the Blade: Our History, Our Future"